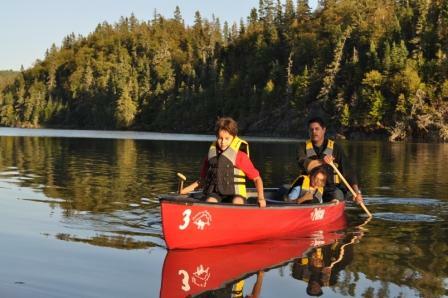 Pukaskwa National Park’s exceptional beauty is revealed in its vistas of Lake Superior and in the rugged, ancient landscape of the Canadian Shield and northern forest. The spirit of the wilderness envelopes those who explore this special place. 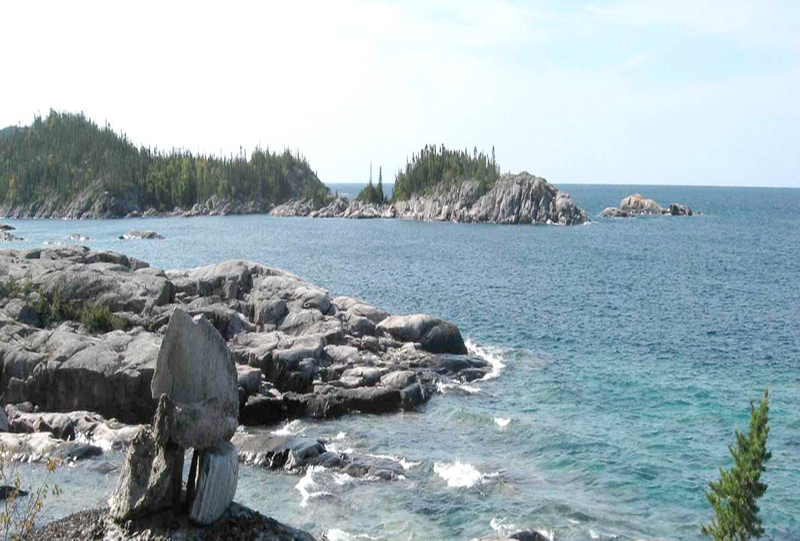 The only wilderness national park in Ontario, Pukaskwa protects 1878 square km of an ecosystem that features boreal forest and Lake Superior shoreline. In the heart of Pukaskwa National Park, experience Anishinaabe culture and values by visiting an authentic encampment featuring a wigwam, teepee, cook tent, and meeting area. 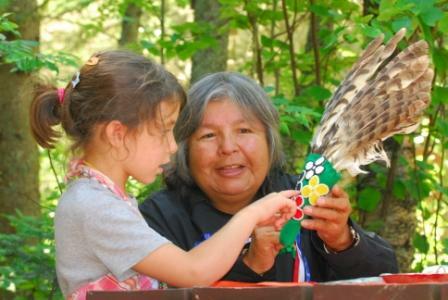 A First Nations interpreter will be on hand during peak season to demonstrate and explain aspects of Ojibway culture. See how Anishinaabe culture is still a vital, spiritual and social part of life. 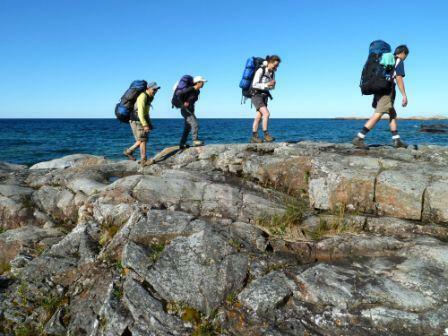 Discover a day hiking heaven in Pukaskwa National Park. Wander along the shores of Lake Superior, see the rugged landscape of the Canadian Shield and chance upon remarkable plants and animals. Explore the sandy, driftwood beaches of the park to see incredible vistas on Lake Superior. 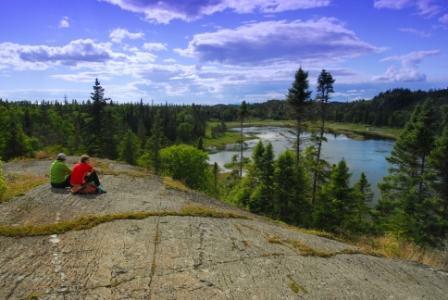 On paths ranging from 1.5 to 2.5 km, learn aboriginal lore or get a sense of the true wilderness character of this enchanted place called Pukaskwa. Go on a high tech treasure hunt to discover the park’s mysteries kept in the park’s hidden geocaches. Become an official “xplorer” by completing the Xplorer program’s challenges. Partake in a geocaching adventure with the Parks Canada Heritage Hide’n’Seek (HHS) GeoTour. These, special events, and many more adventures begin at the park’s Visitor Centre, which also features a gift shop, locally-roasted coffee and free wifi access. At night, retire to your intimate campsite at the Hattie Cove campground to enjoy roasted marshmallows with friends and family. The campground offers 67 campsites, including 29 electrical sites, warm showers, access to the many day hiking trails and the Visitor Centre. For the experienced outdoor adventurer, Pukaskwa offers unparalleled opportunities to explore the rugged coast of Lake Superior and the great boreal forest. The Coastal Hiking Trail and the Coastal Paddling Route are exhilarating, challenging and oh-so rewarding!